Last week Campbell’s Soup agreed to eliminate cancer-linked bisphenol A (BPA) from their canned food packaging. This is a victory in our effort to get all cancer-linked chemicals out of our foods and daily lives. Together with partners like Breast Cancer Fund, Healthy Child, Healthy World, and MomsRising, we’ve kept the pressure on companies like Campbell’s to clean up their act. Yet our work is not done. Campbell’s has not laid out a timeline for eliminating BPA from their canned foods. They haven’t told advocates how they will ensure BPA replacements are not as—or even more!—toxic. Campbell’s listened to us when we demanded change. This is a small step toward our larger goal of eliminating cancer-linked toxins from our lives altogether. That’s the big picture we’re all fighting for: stopping breast cancer before it starts. We need a full federal ban on all chemicals harmful to our health. Estrogenic chemicals like BPA that can increase our risk of breast cancer have no place in our everyday products. 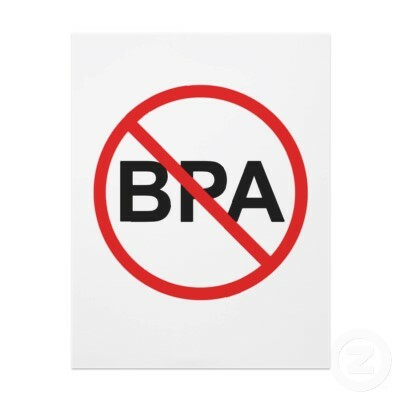 We’ll be watching closely for the FDA’s decision at the end of March about the federal BPA ban up for consideration. In the meantime, you can keep up the pressure by asking your Senator to co-sponsor the Safe Chemicals Act. This landmark legislation would create much stronger regulation of chemicals like BPA. Change takes a very long time. And change happens because advocates like you make it happen. Thanks for being in it for the long haul.